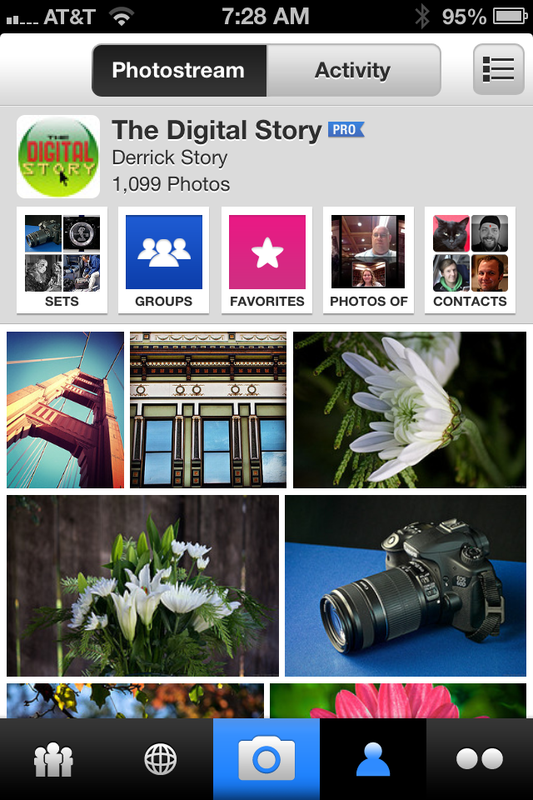 You might fall in love with Flickr all over again. The latest release of Flickr for iPhone app (version 2.0) brings back the joy to the venerable photo sharing app in a very modern way. You can capture images, apply filters, share on Flickr and other sites, monitor your contacts, explore the world of photography, and keep track of your groups... on your iPhone or iPod Touch. The interface is well-designed and easy to use. The camera mode works well on my iPhone 4S, and once I've captured the image, I have 16 filters to choose from, if I so wish. The image quality seems quite good, and original size is preserved. Sharing to Flickr, Twitter, Facebook, and Tumblr is a cinch - as is adding title, description, and all of the normal Flickr controls. On the social side of things, monitoring activity with my Photo Stream and keeping track of what others are doing is actually easier on the iPhone than the web page. If you see a photo that you really like, all you have to do is tap on it twice to mark it as a favorite. The presentation of your contacts' photos is top notch and a great way to pass the time during a coffee break or when standing in a long line. And if you want to see the big world of photography, tap on the globe icon to see great imagery worldwide and near you locally. 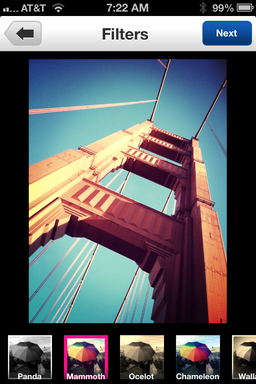 The Flickr 2.0 for iPhone is very well done. And as a result, I've become even more engaged with The Digital Story Flickr account. I have a lynda.com title, Flickr Essential Training that provides all the ins and outs you need to master Flickr. Stop by and learn how to get the most from this terrific photo sharing environment.